sophie has ALWAYS had a fascination with the tub. to this day, when anyone’s in the shower and she’s able to get in the bathroom, she will sit on the edge of the tub until you’re done, then hop in once the water’s off. 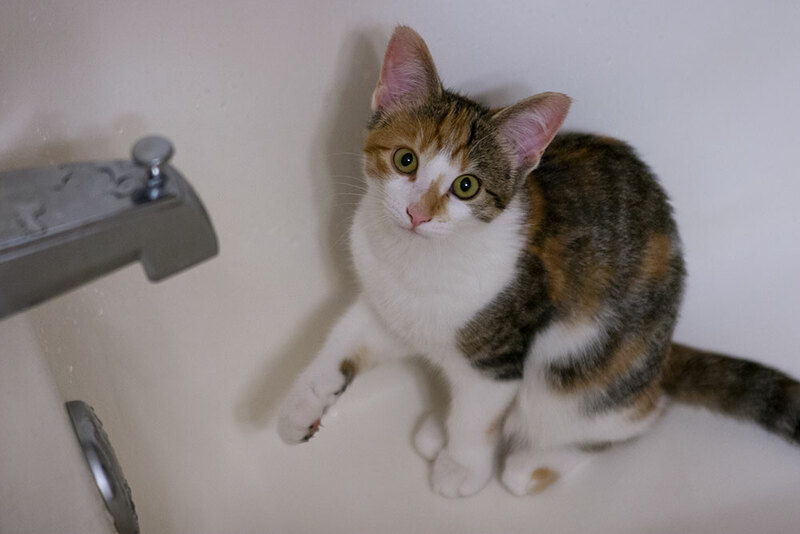 she’ll sit in the leftover water, and she’s also been known to chase her tail in circles in the tub. she doesn’t do this anywhere else in the house, just the tub.